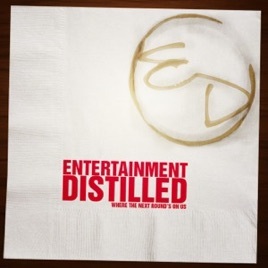 Entertainment Distilled is a podcast that goes down smoother than your favorite drink. It’s an interactive hybrid show and drinking game that mixes pop culture and geekdom in the same glass. Show has tons of topics is worthwhile to listen to. Very fresh and hosts of the show are awesome. The show has a wide variety of topics and something interesting is always being discussed. Format of the show is very unique and determines the content of the show. Hosts are funny and offer varying insight into the topics. Definitely fun to listen to, and the fast paced nature of the show makes it so there is never a dull moment!